For planting on County property (along streets, parks and other public areas), refer to our Tree Planting Program. If you're a developer or are performing a large project in Arlington, refer to the Chesapeake Bay Ordinance page. The lists on this page do not apply to the Chesapeake Bay Ordinance. Consult the Virginia Tech Tree database for more detailed information and pictures. 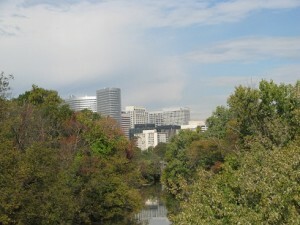 Contact the County Urban Forestry office at urbanforestry@arlingtonva.us for further questions. The lists on this page are subject to change. Shade trees can significantly alter the microclimate around a home, resulting in a more comfortable environment and significant savings in heating and cooling costs over time. 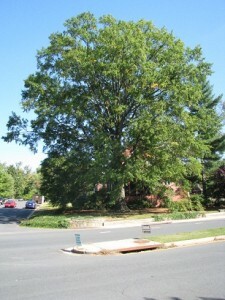 Large shade trees also provide the most significant stormwater and wildlife benefit. These trees should be planted with the future in mind. Be aware of overhead powerlines or nearby structures when planting these trees. A list of trees perfect for accents, ornamental display, or spaces with low soil space. 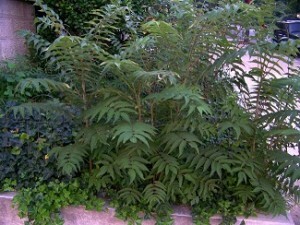 Consider these species when filling out a landscape, or when maintenance budget is limited. Appropriate for planting under most overhead utilities, however, these species have not been reviewed by Dominion Virginia Power, and utility companies maintain the right to prune or trim any trees or vegetation away from their lines. Evergreen trees provide great screening, shade in the summer, and wind breaks in the winter. Evergreen trees also provide year-round wildlife food, crucial for survival during the winter. 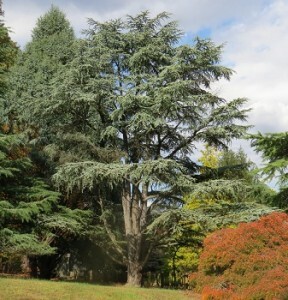 Some of the larger evergreens should be planted with the future in mind. Be aware of overhead powerlines or nearby structures when planting these trees. Recommended trees for planting in restricted space, along streets. Large street trees can significantly improve the aesthetic and microclimate of our streets, resulting in a more comfortable environment and significant savings in heating and cooling costs over time. Large street trees also provide the most significant stormwater and wildlife benefit. 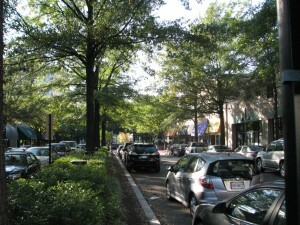 Large street trees are the most common tree to line Arlington streets, except where overhead lines limit future growth. Be aware of overhead powerlines or nearby structures when planting these trees. A list of small street trees for street right-of-ways that may be acceptable to be planted below power lines, due to size or stature. These species have not been reviewed by Dominion Virginia Power, and utility companies maintain the right to prune or trim any trees or vegetation away from their lines. A list of small street trees for street right-of-ways that may be acceptable to be planted in storm water facilities. These species have not been reviewed by the Department of Environmental Services and Urban Forestry to survive well in these facilities. Planting trees on this list should be spaced with care, to avoid underground pipes and utilities, and to ensure the proper function of the facility. Invasive plant species degrade the landscape in several ways. 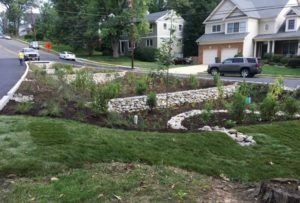 In Arlington, invasive plants negatively impact ecosystem health, green infrastructure and canopy coverage. Due to their ability to outcompete native plants, invasive plants have displaced many native species that provide habitat and forage for wildlife. Additionally, invasive plants can disrupt normal forest succession by inhibiting regeneration of native tree species. For more information on invasive species, check out our Invasive Plant Program. 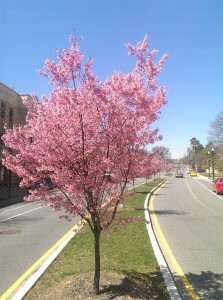 A list of trees appropriate for planting in Arlington County. This list has been vetted for trees that are structurally sound if maintained well, and do not pose an ecological risk due to invasion.